7 December 2018. By Lewis Crofts and Matthew Holehouse. Under parliamentary pressure, the UK government has laid bare the scale of EU powers to patrol subsidies if both sides fail to sign a future-partnership deal by 2020. EU intervention in state aid raises legal questions over the UK’s own independent regime, as well as political concerns over why this policy area is getting special treatment. The European Commission will also have the right to impose emergency protective measures even while a dispute progresses through arbitration over, for example, whether a tax break to a UK bank affects a Belfast-based subsidiary. State aid control — the power to vet government handouts — has long been a crucial part of the EU’s toolkit, guarding against distortions when countries compete for business via corporate sweeteners such as tax breaks. Traditionally, the UK has backed EU enforcers in exerting these powers, and so it’s little surprise they appear prominently in the Brexit deal. There is also clear logic to including them in the “backstop,” which envisages a shared customs union where subsidy control is integral to protecting that space. Furthermore, the UK government has explicitly signed up to swallowing any changes in the EU’s state aid rulebook in the future. In short, EU state aid policy seems to sit comfortably with the UK. But not if you listen to Jeremy Corbyn, the leader of the opposition Labour Party, whose long-held skepticism towards the EU centers on this just question. Opening a five-day parliamentary debate on the Brexit deal this week, he railed against new state aid rules being “brought in whether they are in Britain’s interests or not,” and said the government’s attachment to this legislation had harmed employment. The backstop has attracted the ire of UK politicians of all stripes as it envisages different treatment for Northern Ireland compared to Great Britain. And state aid control is a case in point for this divergence. 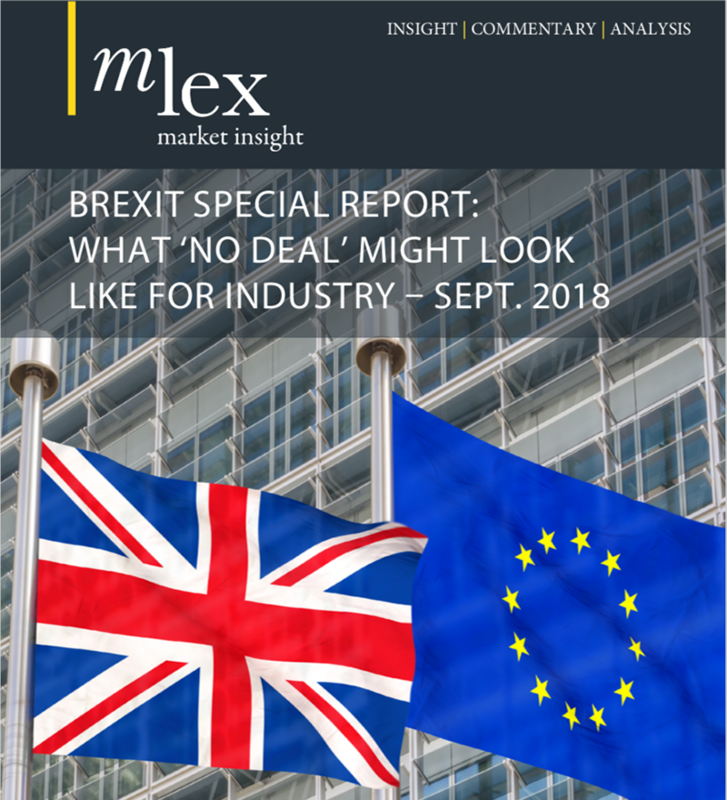 The legal framework gives the commission significant influence over domestic UK regulators, and contains an arbitration mechanism that will cuff the UK to European norms. Secondly, the division of responsibilities — which sees the EU looking at aid in Northern Ireland, and a UK agency reviewing aid in Great Britain — seems artificial and a source of potential conflict. A UK government note clarifying the backstop sets out how the dual regime will work. If aid affects trade between Northern Ireland and the EU, it will fall to Brussels enforcers to police. But if aid affects trade between Great Britain and the EU, then it’s the London agency — the Competition and Markets Authority — that is responsible. This raises two key questions: Can state support measures really be sliced and diced like that? And what is the mechanism that will keep officials in London and Brussels on the same track? The answer to the first question is “no,” and this could well lead to parallel probes and debate over who’s in the driving seat. For the second question, there’s no clear answer. A more detailed mechanism will have to be drawn up, but its main element will see the UK body reporting to its EU sibling, which for some means Brussels will be able to chivvy and chastise the CMA. Government support can be specific to regions. Think of handouts to a local factory or a power station. But more often than not aid can have a broader effect. The impact of subsidies can cross borders, companies and sectors. Imagine a bailout to a bank that is active across the whole of the UK. Recapitalizing the HQ in London will still affect a branch in Abergavenny. Or, support to a metal pipe factory in Liverpool could help it sell more produce to DIY traders in Ballymena. Staying afloat or expanding through government funding means someone else is not gaining market-share. And that could be someone in Northern Ireland. The EU threshold for “affecting trade between states” — the wording in the UK’s own document — is notoriously low. It won’t take much for a support measure to clear that bar and affect Northern Ireland. And, from that moment on, EU officials can be engaged. While there’s no doubt that aid to a steel plant in Wales or a car factory in Sunderland would squarely fall within the CMA’s responsibility, some could argue that there’s no guarantee such support wouldn’t have knock-on effects for Northern Ireland. If parallel probes spring up, the CMA would likely follow the EU approach, unless it could invoke some dynamics specific to Great Britain that allowed it to override the usual analysis. Brexiters will also bridle at the degree to which Brussels enforcers will police alignment with EU rules. If the CMA is preparing a decision, it must first consult the European Commission, giving it three months to submit an opinion. That period can be extended if the commission wants more information, and the CMA is obliged to “take into account” the EU’s stance. In summary, UK approvals could be slowed up by EU scrutiny. If the two sides fall out because the commission thinks a UK measure “threatens to seriously undermine the equal conditions of competition between the parts of the single customs territory,” according to a government note, then the dispute can be kicked off to a joint committee that oversees the withdrawal agreement. The EU can pull this emergency brake and the measures will stay in place until it is “satisfied there is no longer a risk to equal conditions of competition,” or there is a decision from an arbitration panel. In his eyes, the UK has rolled over on state aid, dutifully subjecting itself to EU oversight. Does it matter? The collapse of support for May’s deal suggests that Corbyn’s blessing will be essential if the withdrawal agreement is to be ratified. In his remarks, Corbyn held back from demanding the state aid chapter be scrapped altogether from a rewritten agreement. Instead, he suggested, the enforcement of labor and environmental rules should be strengthened to a similar level. This, surely, would be more than acceptable to the EU. If, however, the Labour leader concludes this is a historic moment to break with rules he regards as a roadblock to his program for government, then the prospects of a deal may be much thinner.